On 13th November the Centre for Human-Computer Interaction Design will team up with the UXPA UK to host their event themed around ‘engagement’. 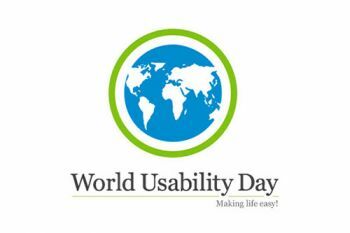 City University London will be teaming up with the UXPA UK to celebrate World Usability Day (WUD) on the 13th of November 2014. Established in 2005 by the Usability Professionals' Association, WUD (or 'Make Things Easier Day') is an annual event which promotes the values of usability, user-centred design, universal usability, and usability engineering among individuals, groups and organisations. It is held annually on the second Thursday in November. 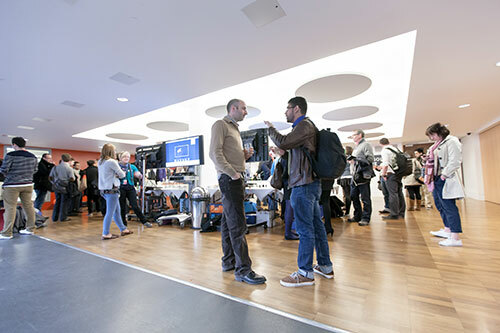 Hosted by City's Centre for Human-Computer Interaction Design (HCID) and sponsored by ExperienceLab, this WUD celebration by the UXPA UK will feature three talks encompassing the theme of Engagement and will also provide networking opportunities for attendees. The featured speakers are Rudy de Belgeonne and Ayhan Alman from the Orange Innovation Lab; Sarah Morris from the Digital Innovation Group (ex Design Director at LBi); and Andrew MacMillan from Engaging Service (also chair of Customer Experience Committee). "City University London and the Centre for HCI Design are proud to host UXPA UK's World Usability Day event. Our outlook is ideally suited to the theme of Engagement this year. We regularly engage with business and the professions providing research and consultancy; we engage our students in HCI education; and we engage with the UX community to foster knowledge transfer. We are looking forward to a stimulating evening full of interesting talks." To celebrate the day, the City Interaction Lab will also provide tours of their usability testing facilities, showcasing their unique ability to provide consultancy and services to measure engagement using eye tracking, mobile testing stations and physiological biosensors. To attend this WUD 2014 @ City event please register here for limited available tickets.